Simple, yet practical...minimal, yet useful.... 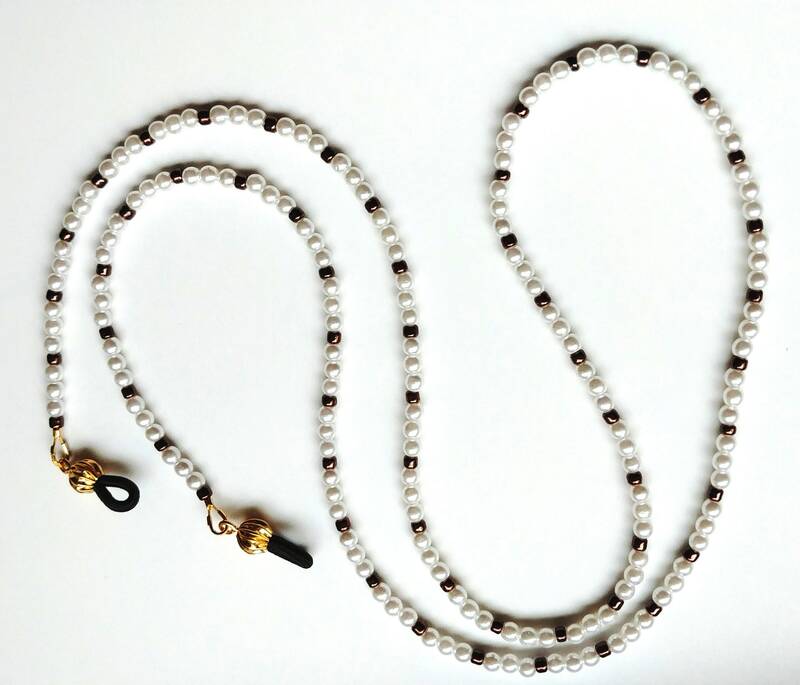 This eyeglass chain certainly serves a purpose and was created with the idea that it's simplicity is what makes it perfect. Perfectly formal, perfectly casual, matches any outfit, and perfectly priced to use every day. 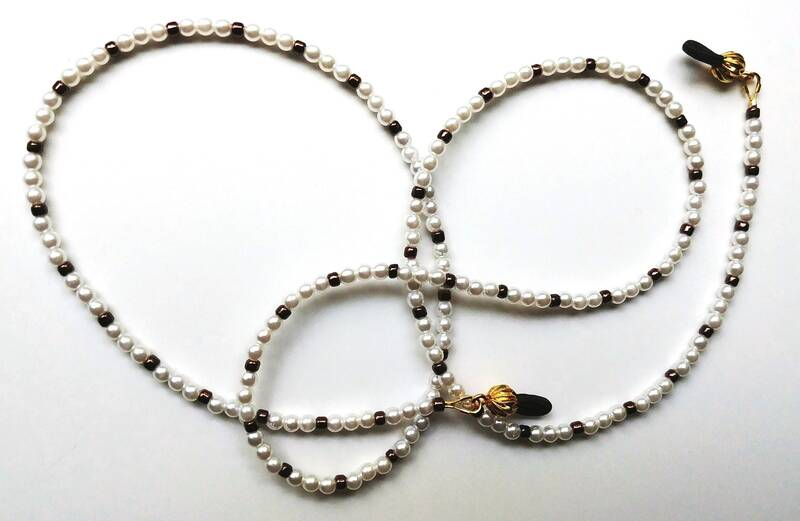 If you've considered using an eyeglass chain, but haven't ventured out to buy one yet, you may want to start with this one. It's very light in weight, very subtle, and very versatile. 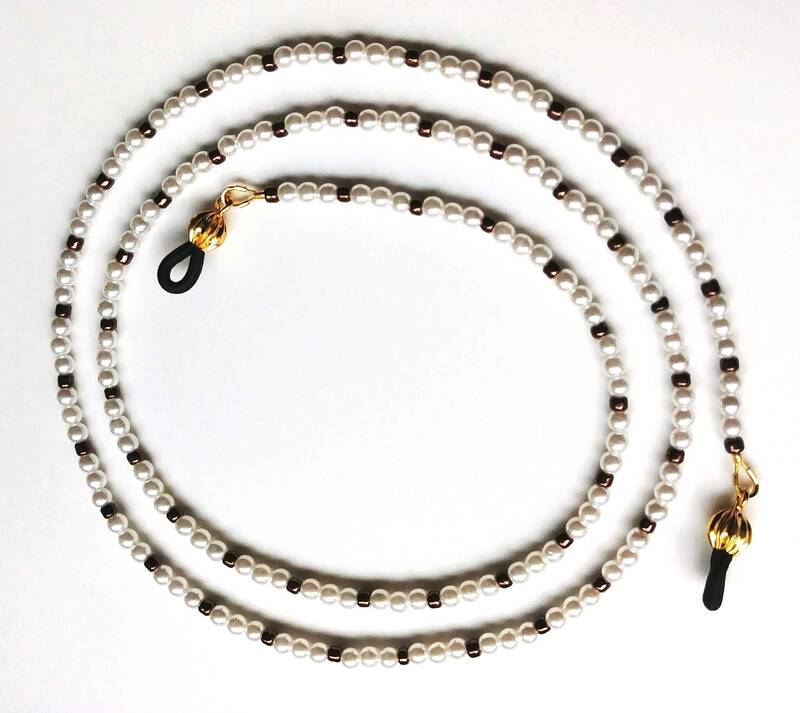 The total length of this eyeglass chain is approximately 29 inches long. 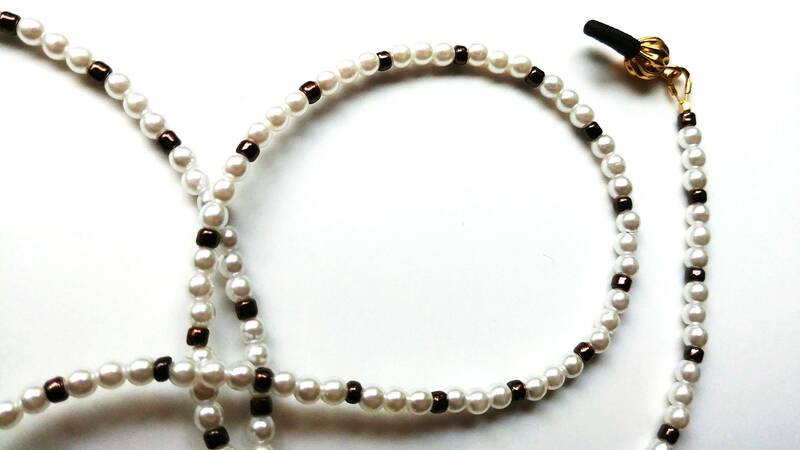 The white beads used are 3.5 mm. This piece is an original by MichelesAManoDesigns.